Sadie is going camping with her family. She has packed her sparkly suitcase with all her fashion essentials. 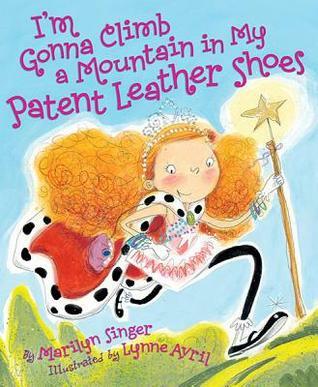 She’s climbing a mountain in her patent leather shoes, pitching a tent in her fancy ruffled pants, looking for Bigfoot in her ballerina skirt, putting huckleberries in her purple party bag, chasing a chipmunk in her royal satin cape, sneaking through a cavern in her gloves that once were white, and swimming in the river in her flowered underwear. In her ‘girly’ clothes she wonders about using her pearls to capture Bigfoot and saving her family with her magic wand of gold. She rules the fire with her shiny silver crown and watches the stars in her pink pi’s with feet. And if she could do it all over again, she would! Little Penguin is sad because he cannot fly. Just once, he wants to soar above the clouds. So his friends set out to help him. First they take him to a high hill, but he still can’t reach the clouds. So they pile rocks up high, but he still can’t reach the clouds. Finally, they stack themselves up, one on top of the other, and Little Penguin climbs to the very top. Now he can soar in the clouds! At the playground, Maxwell sees a huge mountain. His mother and father think he is much too small to climb the mountain. At school, Maxwell checks out all the books about mountain climbing from the library. He makes a map, a compass, and packs bandaids and a water bottle. He trains by climbing the stairs over and over again until he’s finally ready for the big adventure. 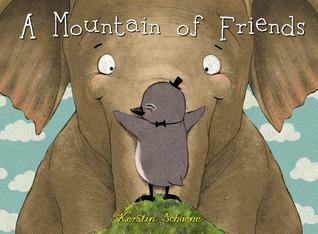 His parents take him back to the playground, where he climbs the big kids’ mountain. It’s easy at first, but as he gets higher he starts to lose his way. 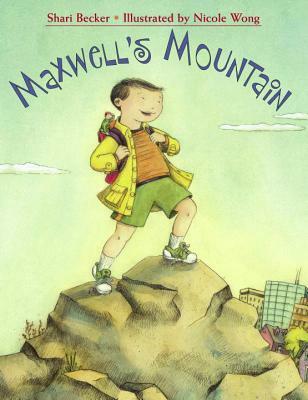 Maxwell retraces his steps and then gets back on the trail leading to the top of the mountain. When he reaches the top, Maxwell sits down to look out over everything. And from there he can see a huge ocean at the other side of the town. Emma wakes up hungry one morning. 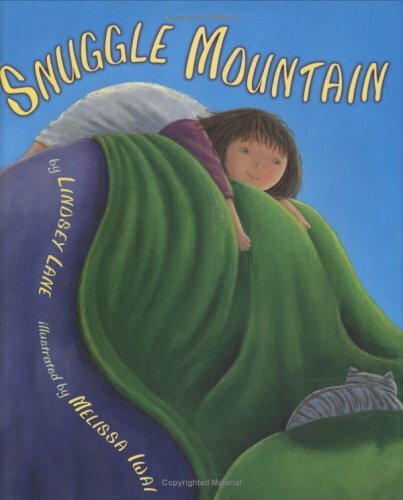 She attempts to climb Snuggle Mountain and wake the two headed giant with out falling under the Sleepy Spell herself. First she has to move the cat and the dog then the two headed giant. The snores from the giant and the warmth of the cave almost put her to sleep, but then she has an idea. She opens the curtains wide and yells, ‘It’s time for breakfast!’. She’s successful. She has climbed Snuggle Mountain and broken the Sleeping Spell. Now she can have pancakes for breakfast.